From movies like “Austin Powers” to “James Bond,” lasers have taken on a mystical lore for their powers. Dermatologists use them frequently on patients, and lasers have become one of the most popular devices used for skin care. They are versatile and the science about how they work is pretty fascinating. Lasers target the hemoglobin in the blood. By targeting hemoglobin, lasers can destroy blood vessels effectively. Cosmetically, these lasers can reduce the appearance of blood vessels that show up on the face due to chronic sun damage or rosacea. On the legs, these lasers can be used to treat unsightly spider veins. Medically, these lasers can be used to target lesions like warts (the laser targets the blood vessels in the wart) and hemangiomas (abnormal non-cancerous growth of blood vessels). Lasers target skin pigment, known as melanin. Therefore, darker hair with more pigment absorbs the laser energy better and is destroyed more easily. In fact, white hairs are not targeted well by lasers. Apart from our hairs, our skin has pigment as well, and lasers are carefully selected and used so that the hairs are targeted but damage to the skin is minimized. Lasers may not permanently remove hairs but they can reduce their size so that they grow much slower and are less visible. It is very important to take skin pigment level into account when designing the right laser treatment. 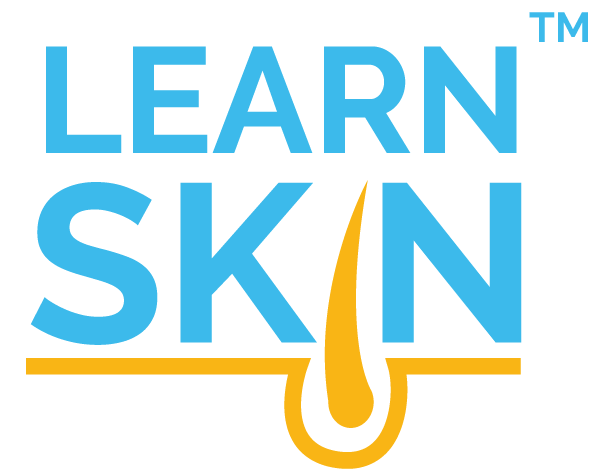 Darker skin will absorb pigment differently and have a greater risk for skin darkening (known as hyperpigmentation), skin lightening (known as hypopigmentation), blistering, and scarring. Certain lasers will not be good choices for darker skin and the setting needs to be chosen carefully. Are Lasers the Same as Intense Pulsed Light? No. They are not the same thing. Intense pulsed light sends a broad pulse of light that is filtered before it is delivered to the skin. Lasers are different in that a crystal is activated to deliver a very narrow band of light energy to the skin. The reason that this matters is that intense pulse light is like a jack-of-all-trades, and it can be used for many different treatments and skin targets. Intense pulsed light is not as efficient or effective towards a single target as a laser can be. Houk LD, Humphreys T. Masers to magic bullets: an updated history of lasers in dermatology. Clin Dermatol.2007;25(5):434-442; PMID: 17870521. Vachiramon V, Panmanee W, Techapichetvanich T, et al. Comparison of Q-switched Nd: YAG laser and fractional carbon dioxide laser for the treatment of solar lentigines in Asians. Lasers Surg Med.2016;48(4):354-359; PMID: 27096729. Bukvic Mokos Z, Lipozencic J, Ceovic R, et al. Laser therapy of pigmented lesions: pro and contra. Acta Dermatovenerol Croat.2010;18(3):185-189; PMID: 20887701. Ortiz AE, Goldman MP, Fitzpatrick RE. Ablative CO2 lasers for skin tightening: traditional versus fractional. Dermatol Surg.2014;40 Suppl 12:S147-151; PMID: 25417566. Karsai S, Czarnecka A, Junger M, et al. Ablative fractional lasers (CO(2) and Er:YAG): a randomized controlled double-blind split-face trial of the treatment of peri-orbital rhytides. Lasers Surg Med.2010;42(2):160-167; PMID: 20166156.